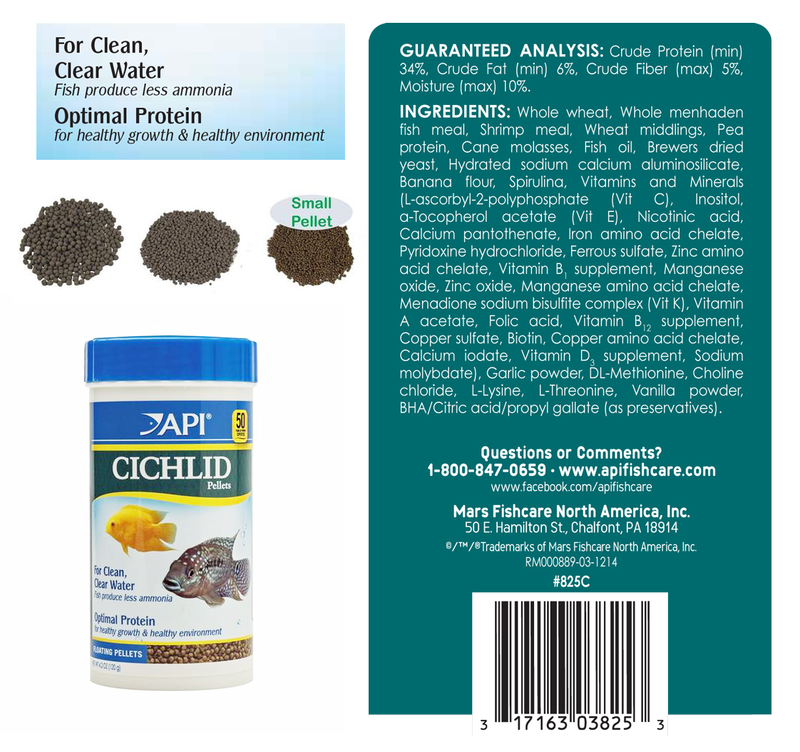 Cichlid floating Pellets by API for all cichlids is a unique formula containing enhanced protein that insures easy digestion, maximum nutrient absorption and less ammonia waste released into the aquarium. Like all API fish foods they are highly palatable and aggressively eaten. Fish eagerly eat this new food due to the premium quality ingredients. 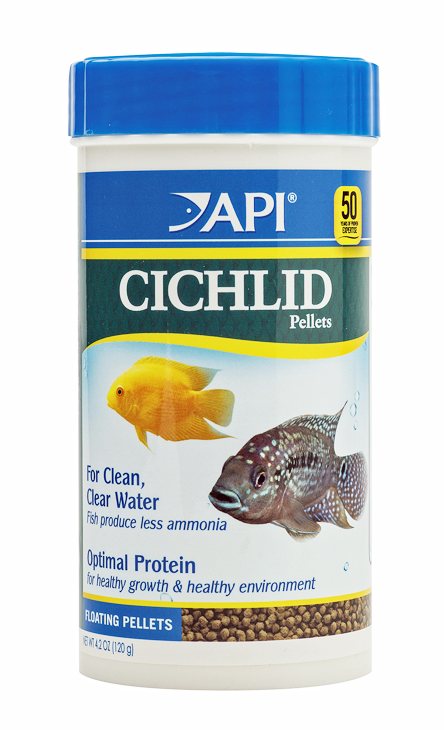 This results in more food being eaten and less waste in the tank resulting in a cleaner, clearer tank.